Cure Vertigo and Prevent Stroke: Is Your Dizziness a Sign of a Stroke? If you experience a sudden onslaught of vertigo or dizziness that then passes, chances are you were suffering something called a mini-stroke. A mini-stroke itself is relatively harmless, but because they’re almost always followed up by more mini-strokes and often a final big stroke, this is a serious issue that needs to be addressed. 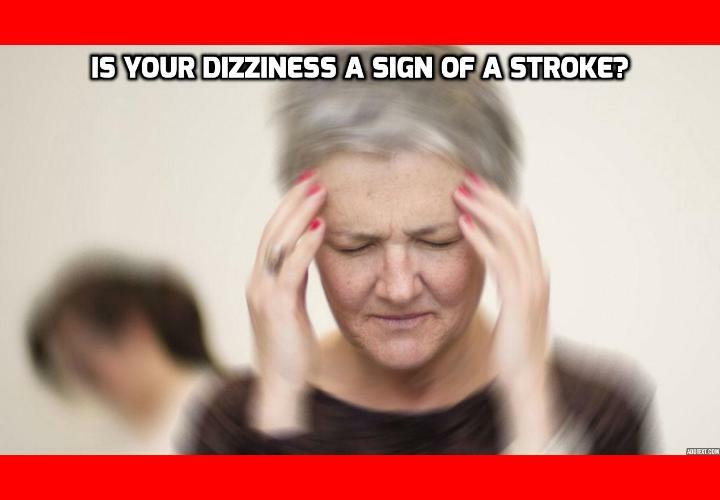 But most of the time, symptoms like vertigo and dizziness do not necessarily indicate a stroke. A Canadian research team and an American MD/Professor had an interesting debate in the January 2016 edition of the Annals of Neurology. The Canadian team thought that too few people who visit the ER with dizziness go on to have strokes later, while the American professor believed that too many of them did. This is obviously important, because if many people who complain of dizziness are suffering a light stroke and go on to suffer a more severe one, ER physicians will have to start using MRI brain scans on a lot more people who visit the ER with vertigo and dizziness. This can become incredibly expensive, as millions of people visit the ER with dizziness or vertigo every year. In fact, since MRIs are so expensive, it could completely implode some countries’ medical systems. The Canadian researchers examined the information of all patients discharged from ER departments in Ontario between 2006 and 2011 with a diagnosis of peripheral vestibular disorder. Peripheral vestibular disorder is the name for a variety of inner ear and vestibular nerve conditions. It is the most common cause of vertigo. They checked whether these people suffered a stroke within 30 days after their discharge from the ER. Of the 41,794 vertigo patients, 76 (0.18%) had a stroke within the first 30 days of their ER visit. In other words, they probably had a light stroke, not peripheral vestibular disorder. Those diagnosed with peripheral vestibular disorder were 9.3 times more likely to have a stroke in the next 30 days than similar people without vertigo. But the Canadian team believed that, 0.18% (less than 2 in a thousand) of incorrect diagnoses are simply too low to start implementing widespread and expensive MRI scans on everyone presenting at the ER with dizziness. In the same journal, Dr. David E. Newman-Toker from Johns Hopkins University used statistics previously unearthed by American researchers showing that three to five percent of people who visit the ER with dizziness have had, or will still have, a stroke. Accordingly, he thinks more should be done to reduce or eliminate these mistaken diagnoses. He argued that, with 4.4 million Americans visiting the ER annually with dizziness, three to five percent of mistaken diagnoses translates to 120,000 to 200,000 missed strokes per year. Yikes! In fact, even 0.18% is 7,920 missed strokes per year, which is a lot. Watch this Video – One Month Before Stroke – Warning Signs and Symptoms of A Stroke You Must Know! From this Vertigo Relief Program whose purpose is to cure vertigo and prevent stroke, you will learn to strengthen your tongue, achieve whole-body balance, relieve tension and enhance your overall well-being.